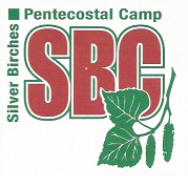 Family camp is the "FLAGSHIP" event that happens at Silver Birches Camp. Each year in July, after the week of Kids' Camp. A total of about 400 gather from local churches from all over Ontario, for one of the most spiritually transformational weeks of their lives! Each year, the very best of anointed speakers, worship leaders, musicians, kids and youth ministry teams, cooks and volunteers are assembled with the ambition of making the Family Camp event the very best ever! Check out some of this year's team below! And please keep SBC in your prayers as we all prepare our hearts and schedules to meet with God - again and again! BOTH Saturdays "Kick Off" with a Hamburger and Sausage BBQ as part of the special bouncy castle and games afternoon, ending at 6pm. Your registration gets you all of it! Tickets if you're not a camper are $10 ages 5 years and up.